[dropshadowbox align="none" effect="lifted-both" width="autopx" height="" background_color="#ffffff" border_width="1" border_color="#dddddd" ]The SuperFit Games has a long running history of of packed events in the DC area. In 2012 and 2013, we covered 3 events in the area. In 2014 alone, we'll be having 4 events within easy driving distance: Lorton, Maryland, DC, and Rubicon. The greater DC area has always been a competitive hotspot. Now, it's time to up the ante. 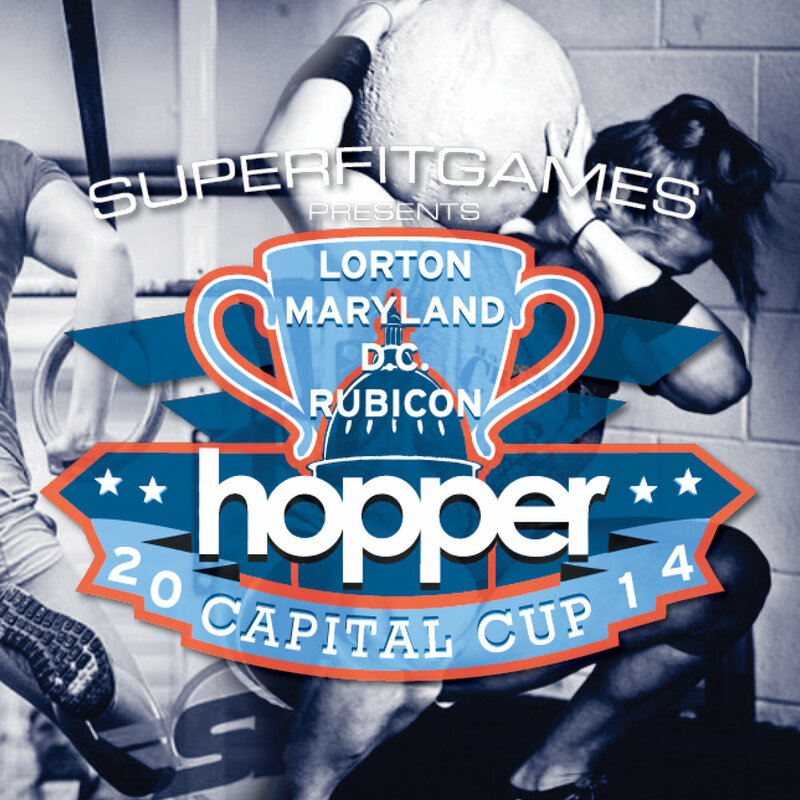 The Hopper Apparel 2014 Capital Cup will pit the area's finest athletes against each other to crown a champion. Athletes in the RX division will collect points based on placings across multiple SuperFit Games competitions surrounding the DC area. The top 3 male and female athletes will get an automatic berth into the Pro division of the SuperFit Championship event, gear from Hopper Apparel and free entry into DC area SuperFit events in 2015.